The QSFP40GAC7M is an MSA compliant direct-attach copper QSFP+ cable that’s designed, programmed and tested to work in 40G network deployments. It delivers dependable 40 GbE connectivity over copper cabling, which is a cost-effective alternative to fiber-optic cable setups. 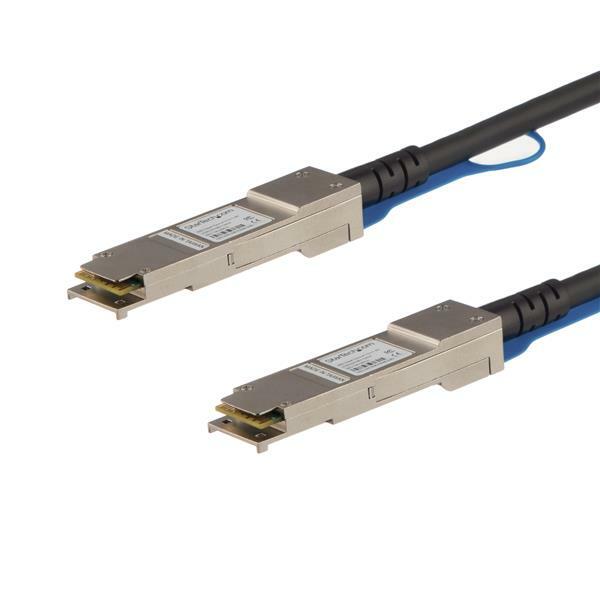 This active Twinax cable supports 40 Gigabit Ethernet applications connected through QSFP+ (Mini-GBIC) ports. The cable is hot-swappable, making upgrades and replacements seamless by minimizing network disruptions. 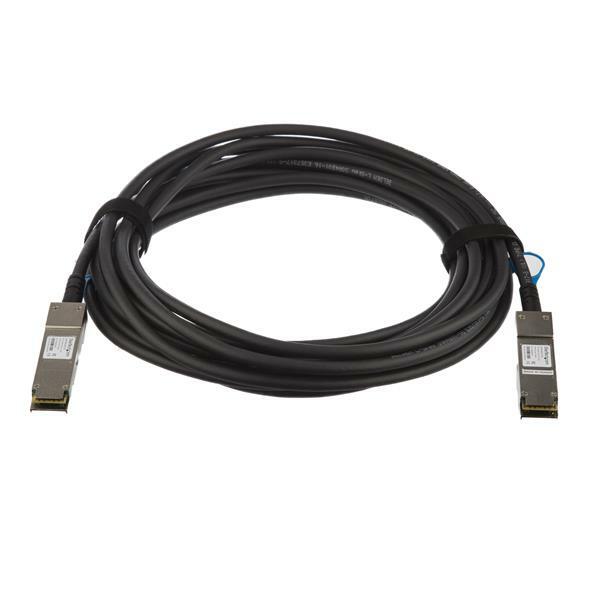 At 7 meters long and designed for high-speed performance, this copper QSFP+ cable is ideal for medium-distance applications such as across-rack network switch or server connections.